If you’ve recently wondered, “What the heck is bitcoin, and how does it work?” then you’re probably new around here. Life coach, Tony Robbins, just explained all to his 3+ million Twitter followers, and just in time for New Year. Tony’s Tweet links to a blog post on his website credited to ‘Team Tony’, which they must have written at the start of the year, based on the quoted bitcoin price ($9979). Perhaps the bitcoin price 00 volatility at that time made him choose not to promote the post until now. Something must have stopped him because the guy seems to put virtually every thought he has on Twitter. Anyway, the blog post suggests that trying to explain Bitcoin is like trying to explain the Internet in the 1980s. The difficulty being that Bitcoin is a brand new concept. Well to the majority of Tony Robbins fans it probably still is. i.e. They try to explain its decentralized nature… and do a surprisingly good job of it. …more ominously, because of the anonymous nature of bitcoin, the technically savvy can avoid taxation and use bitcoin as payment for any kind of illegal good or service. Despite slipping into FUD mode, the fact that Tony Robbins has tweeted about Bitcoin (and the timing) is significant. As one of the best-known life coaches in the world, Robbins has an almost fanatical devotion from his followers. Introducing 3 million of them on Twitter alone – many of whom will not already be crypto-savvy – to Bitcoin at a time when people are thinking about financial plans for the coming year, could be a big deal indeed. It also comes at a time as when Bitcoin awareness is also being spread by the likes of other influential figures like Jordan Peterson and even publications like Time magazine, which stressed that Bitcoin is important for freedom in the world. 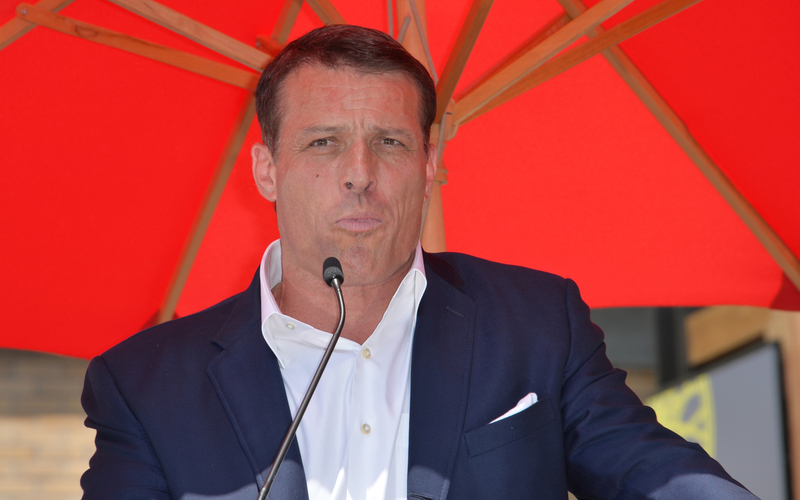 Does Tony Robbins’ article do a good job explaining Bitcoin? Share your thought below!